Roofstock and HomeUnion are part of the new wave of online real estate marketplaces that offer single and multiple-family rental homes to investors. These real estate marketplaces do the location scouting, in-person previewing, property screening and appraisal in advance. They then present these certified, turnkey properties to potential investors online for streamlined purchases minus the time-consuming details you might otherwise face in such transactions. 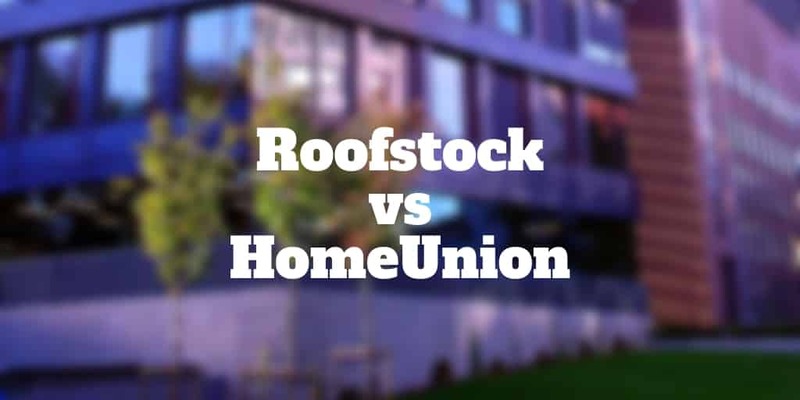 But if you had to pick between Roofstock vs HomeUnion, which comes out on top? Which Real Estate Site Is Best For You? Does a Roofstock REIT exist? Is Roofstock publicly traded, what is the Roofstock stock price? Extra: Are Single Family Rentals A Smart Investment? Roofstock qualifies rental properties for sale that come complete with tenants who have passed a detailed pre-screening process. Marketplaces like Roofstock and HomeUnion do not own the properties listed on their real estate platforms. Instead, they act as intermediaries between sellers and investors, attending to the detail-oriented parts of the transaction process so that busy investors can skip right to the profits. You search the site for properties that meet your specifications. You purchase a property at the pre-negotiated price, or you make an offer. Upon the seller’s acceptance of terms, you proceed through Roofstock’s streamlined closing process, which includes help with finding your financing, obtaining insurance and putting property management in place. Closing can take as little as 15 days for a cash transaction or longer if financing is involved. Unlike Roofstock, which specializes in brokering single-family home rental sales, HomeUnion lists residential properties ranging from single-family units up to four-family complexes. To get started in the online search process, you take a three-question survey to help the system pinpoint the types of property that best meet your investment needs. You register for a free account on the HomeUnion website, which provides you with browsing privileges for viewing hand-selected investment properties that are pre-valued and vetted by real estate pros. Once you make a purchasing decision, HomeUnion guides you through the buying process, which typically takes place entirely online. After you commit to a purchase, HomeUnion’s property management service finds tenants for the home. Your investment comes with property maintenance services, too, which are designed to keep your investment in good shape, deals with any issues that come up and handles other potentially time-consuming details. HomeUnion claims that it evaluates and lists investment properties in 21 cities within 15 states. Roofstock lists properties in more than 20 states across the country. One of the main differences between these two investment sites is the level of service they provide to you as an investor. HomeUnion is an all-inclusive real estate investment service that is with you every step of the way as you search for, review, compare and select properties to buy. At that point, they find and qualify tenants for the home and provide ongoing property management as part of the package. Roofstock does offer a distinct advantage over HomeUnion in that the properties it lists are already occupied with pre-screened and approved renters. You can expect your new revenue stream to begin flowing immediately upon closing. However, Roofstock does not have property managers in place. Upon request, it will help you find a reputable management firm after you purchase a property. If you change your mind on a purchase within 30 days of closing, Roofstock will refund your money. You just have to submit a written cancellation statement and return the property. Although HomeUnion does not clearly state a purchase guarantee policy, it does warranty all of the home’s major appliances, minimizing your ongoing out-of-pocket expenses. Your monthly asset management fee covers the majority of your rental property’s other repairs and maintenance needs as they come up. Purchasing properties through Roofstock or HomeUnion is like a traditional property transaction where you pay your Realtor a commission upon closing. The commission covers the assistance that the buyer’s agent has provided in locating the right home, affirming its market value through comparable properties, negotiating your offer to buy and then overseeing the paperwork. In an investor’s marketplace, you also get additional value that a Realtor typically does not offer. Such essentials as legal documents, options in property management and tenant screening are all part of the package. Roofstock charges a 5% commission for brokering your purchase. This means you will hand over an additional 5% of the final purchase price to pay for Roofstock’s services. This compares favorably to a Realtor’s average commission, which ranges from around 4-7% of the sale price nationwide. HomeUnion assesses a 3.5% asset acquisition fee when you make your purchase. It also charges a monthly property management fee thereafter, which amounts to 10.5% of the rent you collect each month. Both real estate investment marketplaces offer just one type of account, which is free of charge. When you are ready to invest, both sites are able to work with various payment options, so you aren’t limited to using your everyday checking or savings accounts to fund your real estate investment. You can invest either as a U.S.-based resident or as a foreign investor; the online purchase process is designed for long-distance buyers. As long as the entity you select can legally hold a property title and you have control over how funds are distributed, you can select any of the above as your source of payment. In addition to the account types for funding listed above, HomeUnion offers in-house mortgage lending for investors who want to finance their property investments. This marketplace will work with you to set up a 1031 exchange as well, which involves reinvesting the proceeds from a previous property sale to defer capital gains taxes. It is no secret that investing in real estate offers significant tax advantages for property owners. These advantages hold true whether you invest independently or through a real estate investment marketplace. According to one testimonial on the HomeUnion website, an investor saved 30% of his total rental investment expenses through the tax deductions he was able to take. Picking a clear winner between two such similar real estate investment marketplaces is a close call. In the final analysis as an investor, you would likely feel more comfortable buying a rental property with tenants already in place. With that in mind, Roofstock gets the nod. Roofstock also wins extra points for its reassuring 30-day refund offer. While hands-off investors will enjoy the benefit of the automatic property management that the HomeUnion package includes, some people might balk at paying the pre-set monthly maintenance fee, preferring to handle that aspect of rental homeownership themselves. If that sounds like you, Roofstock is a good choice. ✅ 30 Day Guarantee: If you change your mind and decide to hand back your property, you have 30 days to do so. ✅ Property Management: HomeUnion keeps property management under its own umbrella so it could be argued that it has a greater incentive to keep properties in better condition. ✅ Tenants Day One: Investors seeking to earn passive income on day one should choose Roofstock. ✅ Larger Units: Investors who want up to 4-unit complexes will fare best at HomeUnion. ✅ Roofstock Portfolios: Investors who want to buy dozens of properties all at once can do so via Roofstock portfolios, which are collections of single family rentals. ✅ Repairs & Maintenance: Pre-set maintenance fees could be a pro or a con depending on your preferences. If you like the idea of not needing to worry about repairs, HomeUnion may be a better fit. If you want to make a smart investment with no time commitment but great tax advantages, both Roofstock and HomeUnion can deliver. Landlords who prefer to meet and interact with tenants and property managers, are best suited to Roofstock (though you can outsource property management if you wish). However, if you prefer a full-service investment package, HomeUnion may be the choice for you. Investors looking for exposure to property in general without owning it could consider Rich Uncles, LendingHome, Origin Investments, and Fundrise. No, you cannot buy a Roofstock REIT however you can purchase Roofstock portfolios which are collections of single family rental homes. At this time, Roofstock is a privately funded company so no Roofstock stock price exists. As an investment vehicle, the single-family rental is one of a kind. Demand for this type of real estate is high for several reasons. Many markets suffer from a scarcity of available rental homes, so you may be able to realize a significant income. 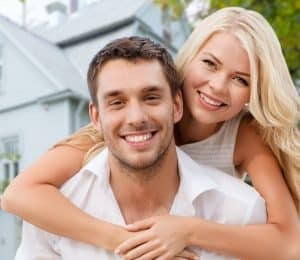 Also, as a rental property investor, you not only get a dependable source of monthly revenue, but you may also see the face value of your investment appreciate over time. When you get ready to sell, you are likely to turn a profit. Once you subtract your ongoing ownership expenses, such as management fees, taxes and insurance, HomeUnion reports that your average ROI could be around 9%. Research from independent sources estimate your return range as a rental property landlord as being between 8% and 22% of the purchase price, which will vary according to the ups and downs of the market. When you purchase real estate, you are investing in a historically sound market and dependably building equity. Also, with the real estate market steadily recovering from its post-Great Recession low, you may very well see the value of your investment rising. On the other hand, owning rental properties can be fraught with difficulties if the property itself turns out to be overvalued, renters are destructive or high-maintenance, or a new tax assessment narrows the investment profit margin. If you invest through a full-service single-family rental marketplace such as Roofstock or HomeUnion, however, you can avoid the frustrations associated with being a landlord while enjoying the financial benefits of a smart investment. You will still face some unknowns, though, like potential hikes in property taxes.